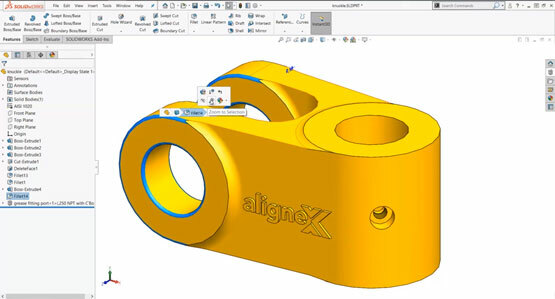 Sean Stiehm is a Product Specialist at Alignex, Inc. His days are spent showing businesses how they can leverage SOLIDWORKS ancillary tools to streamline specific processes, get products to market faster and reduce costs associated with product development, prototyping & manufacturing. When not working, you're most likely to find him flying his sUAS or wandering a trout stream somewhere in the driftless region. 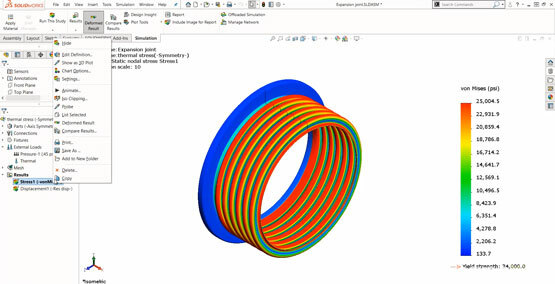 Welcome to part 3 of our Getting Started with SOLIDWORKS Simulation series. This time we will be walking you through the process of creating your study and assigning materials. 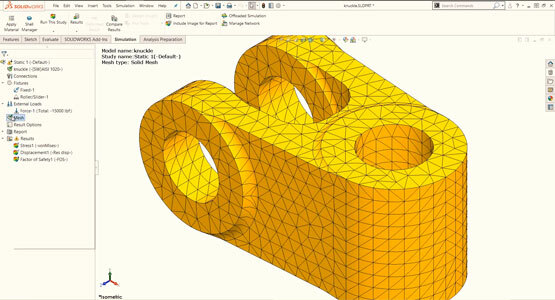 Welcome to part 2 of our Getting Started with SOLIDWORKS Simulation Series. This time we will be walking you through the first step needed before completing any simulation, prepping your geometry. 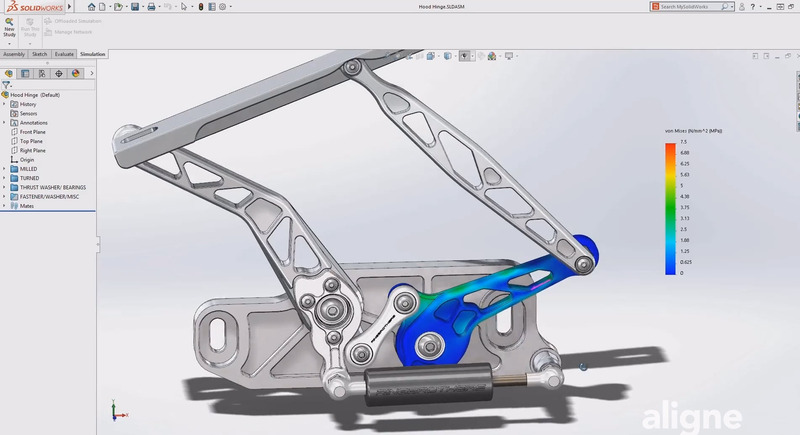 Have you ever been interested in SOLIDWORKS Simulation but didn't know where to start? 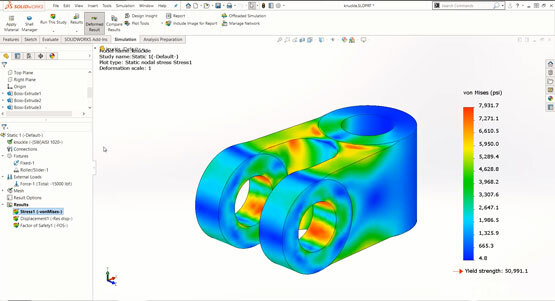 With such a wide variety of design analysis solutions, Simulation can be an intimidating product for someone newer to the SOLIDWORKS suite of products. 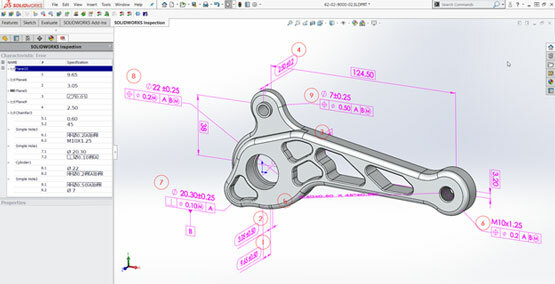 Around the time email replaced the carrier pigeon as our main form of non-verbal communication (mid '90s), SOLIDWORKS hit the market with an innovative new CAD product to make the everyday lives of designers and engineers easier. Fast forward to 2018 and the platform has evolved into, well…a platform. 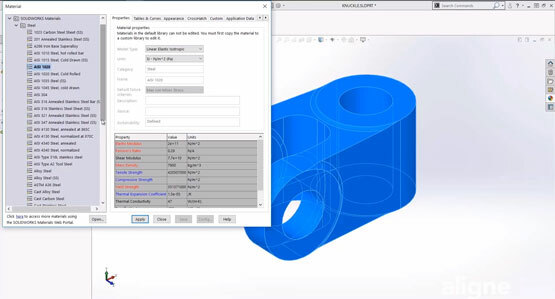 No longer a singular tool with only the designer in mind, it now makes life easier for every person involved in the manufacturing process by offering a variety of purpose-built solutions that, when brought together, combine to form a manufacturing Megazord.